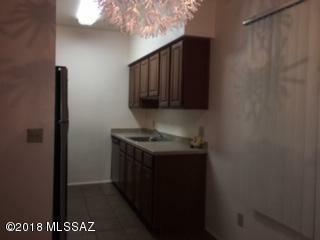 This condo is 2 bedrooms and 2 full bathrooms. 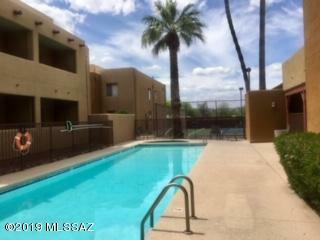 Has a lot of storage inside and on the patio there is storage area. The water heater and AC unit are 3 years old. 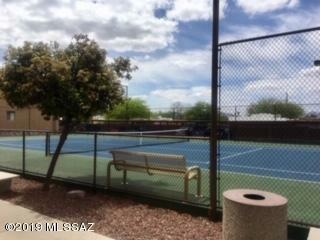 Located right by all the amenities: washing facility, swimming pool, tennis courts, mail area. Best location in Casa Club. 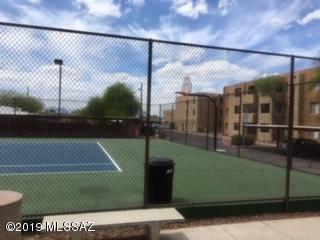 Close to the U of A, Salpointe Catholic HS, restaurants, grocery stores, banks and Starbucks.